What ensues is a hilarious and unpredictable turn of events as Poppy and Sam increasingly upend each other’s lives through emails and text messages. As Poppy juggles wedding preparations, mysterious phone calls and hiding her left hand from Magnus and his parents… she soon realises that she is in for the biggest surprise of her life. An idle glance through the window of a bus changes everything for Katy Rivers. A mysterious girl, with luminous green eyes, stares back and from that moment on she haunts Katy and appears to know her every move, even what she is thinking. What is the strange connection between them? And what is the power of the emerald pendant which the girl bestows on her? These chilling words mean that Katy is gradually backed into a corner, alienated from everyone she holds dear, even her own mother. Only her best friend Luke, keeps faith and together they must find a way to defeat the girl who is determined that she will be with Katy…even until death. 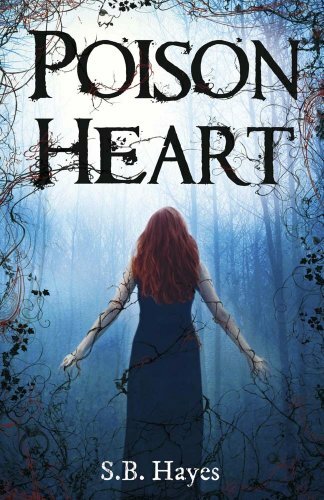 POISON HEART combines psychological suspense with teen romance and makes for a thoroughly chilling read. This entry was posted in 2012, and Other Stuff That Made Me Famous, Henry Holt and Co. (BYR), I've Got Your Number, Kathryn Williams, Love, Pizza, Poison Heart, Quercus Books, S. B. Hayes, Sophie Kinsella, The Dial Press. Bookmark the permalink. I like them all, but "Poison Heart" made me go "Ooooo!" 'I've got your number' sounds amazing, I cannot wait for that one either. 'Pizza…' Yes, please! I loooooooved the concept since I saw it! me want now! 'Poison Heart' that I've never heard of but wow it sounds awesome!thanks for coming by my blog! all three sound ah-may-zing! i really like the cover for Poison Heart and it sounds so freaking scary. thanks for stopping by, and if you like bookmarks and stickers, I have a giveaway going on now! Excellent picks and I love how you covered all bases: chick lit, some paranormalish fun, and some delightful fluff. I love the sound of all three. Thanks for stopping by! Sophie Kinsella books are fun. I haven't read one in a long time. Thanks for sharing it and thank you for stopping by my WOW. Oh my goodness, the cover for Poison Heart is GORGEOUS! Great pics! Poison Heart sounds awesome. I would definitely like to read that one. Thanks for putting it on my radar! All look like really amazing books. I was contemplating on putting Pizza, Love, and Other Stuff That Made Me Famous on my WoW but I chose another. So glad to see soemone picked it for yesterdays wow. Thanks for stopping by. 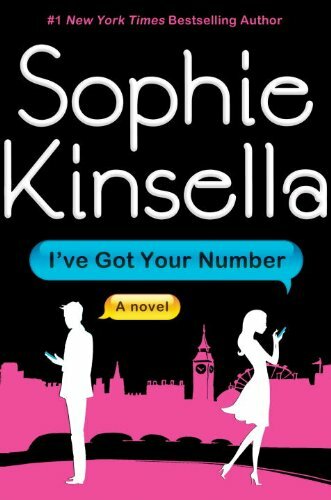 I like Sophie Kinsella so I will be looking for her book. Thanks for visiting my blog. Nice pick! Poison Heart and I've got your number seems great! I'm gonna add them to my TBR pile : I've got your number sounds hilarious!THX for stopping by! Wow they all sound so good!, and thanks for stopping by :). Great pick! Sounds like my kind of book. Oh my gosh, all of those books sound like such amazing reads! 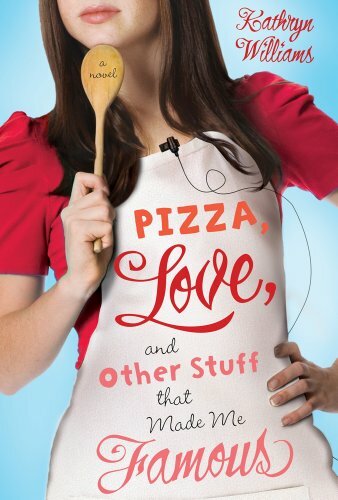 I love the cover for ALL three of them and I'm especially intrigued by the Sophie Kinsella book because I've heard that she's such an amazing author, and that pizza one because it sounds like a blast! :)Awesome picks for your WOW this week!